Starting on New Years Day, iOS 6 users began to report a strange bug with the "Do Not Disturb" feature on their Apple devices. The bug made it so that the "Do Not Disturb" option didn't automatically toggle off when it was supposed to, leading to plenty of missed calls and messages. Apple has confirmed that there is a bug, but says that it isn't planning to do anything about it, because the bug should fix itself next week. Apple confirmed in a support post that there is a bug which causes the "Do Not Disturb" mode to stay on after its scheduled time, but the support page also notes that Apple won't be providing a fix. Apple doesn't explain, but says that the bug will be fixed automatically on January 7th, and says that before then "you should manually turn the Do Not Disturb feature on or off." dont hate on us and we wont hate on you fanboys! But don't u think all the senseless attack, and disses against iOS and its users is getting old now too? When iOS users talk nonsense (Mxy, Galltio,) about how perfect Apple and iOS is, is it wrong to point out flaws that invalids that statement? No, because it leads to a discussion. Some users take it too far, yes, but if you can't have a conversation like a normal human being, then there's a problem. I'm a Android fanatic, yes, but I do like WP8 and webOS. iOS, in my opinion, is stale and has not changed at all since 2007. Agree with me or not, it leads to a discussion. "fix itself next week" Hm... and what if you for some reasons turn back the date in your phone, does bug will return? And then can we call this bug as fixed? What if it doesn't, and all is well? Will u leave the issue alone? "What if it doesn't, and all is well?" In software world bugs don't disappear just like that without any update. In current case it has something to do with date. Read comment #20 ! My guess was right ! well i understand that there might be some update apple is releasing but the way the article headline reads it makes it look like as if Apple is sitting in a corner and praying for the bug to fix itself...LOL! I know one thing. This is a great feature that has vastly improved my sleep, so apple get it fixed yaaaaaaaaawwwwwwnnn lol. As much as I am glad that Apple is fixing yet another mishap caused by their hardware/software, it's not right to say it will fix itself automatically. Once again, Apple is not claiming responsibility for their problems. How many times do they have to BS their own customers before they wake up and smell it? "Don't hold the phone like that", "The purple flare is considered normal", "the more people use it (Apple Maps), the better it will get"...come on! If I wanted to deal with that much bull, I'd move to Pamplona. 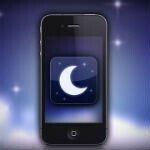 Looks like apple wants to disturb its users during their dreams after all. They should just call this feature "Do Disturb"
Proof that iOS hasn't changed since released. How many years in a row has this happened at the beginning of the year? Somebody forgot to carry the one... hate when that happens! haha bugs bugs bugs.... it seems the bugs are pretty major. Geez I wonder how does a bug fixes on its ownself in a week time. Apple.. you are a GENIUS. Meh. I set my date ahead on my iPhone and the problem went away. I set the date back to today, and back came the problem. Good to have my DND back...now Apple actually needs to fix it before it happens again instead of just waiting it out.